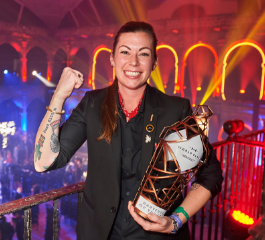 Since being crowned the world’s best bartender in Mexico City last year, World Class 2017 winner, Kaitlyn Stewart, tells us about a whirlwind year of travelling the globe, visiting some of thebest bars and offers us some serves inspired by this exciting year. Since winning World Class 2017, I have been on the craziest adventure of my life. In the last three months alone, I have travelled to 11 countries and I’ve seen so many new things, met so many new faces and formed countless memories. Trying to balance a full time job at home in Vancouver and travel the world has had its challenges, but it’s all been worth it. When I entered World Class, I couldn’t have imagined the kind of journey it would take me on. 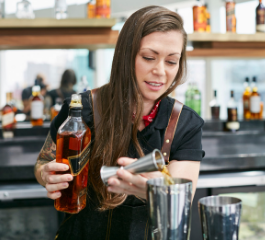 From competing in the regionals, through to the national and global competitions, it was a whirlwind and reminded me of why I got into bartending in the first place. But, I never thought it would result in a year of travel, visiting some of the world’s topbars and meeting the fantastic people behind them. Having the opportunity to meet so many amazing people and bartend in so many fascinatingplaces has been the highlight of my year so far. 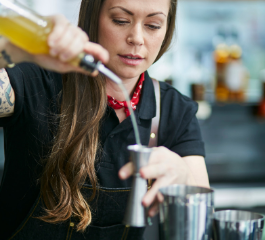 Visiting places like Russia and Taiwan, where I don't speak remotely the same language, but share the same passion for bartending, has really opened up my eyes to how universal this career is. El Copitas in St. Petersburg was a stand out for me; the level of hospitality, the amazing atmosphere and their attention to detail was remarkable. 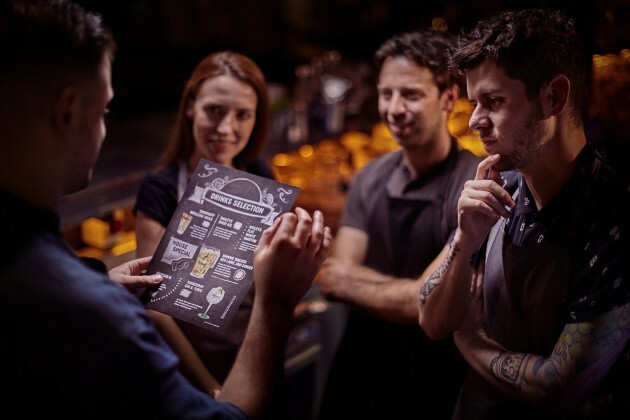 This industry welcomes people from so many different backgrounds with so many different outlooks, but unites us all under the passion for hospitality and providing great experiences. Travelling with World Class has really reaffirmed my desire to push myself in this profession and to continue learning to improve my skills and knowledge. Now that I am approaching the end of this unforgettable year as World Class 2017 champion, I love that I get to return home to Vancouver and step behind my bar to share my stories with guests and friends. I'm really looking forward to continuing this crazy journey with my World Class family and sharing some of my stories with the winners of this year’s competition, too. If you have any interest in entering the World Class competition, do it.You'll never be ready enough; you'll never have enough time. But what you may lack in experience, you'll make up for in what you'll learn and the people you'll meet. Over the last year I have had the chance to experience so many different cultures and witness new ways of working within the industry that I’m definitely returning homefull of ideas and I’m excited to try things out in my venue. From using Sake in cocktails to my twist on a G & T, take a look at some of my recipes below which have been inspired by my year as World Class Bartender of the Year. With this cocktail, I wanted to create a modern classic. Following my win, I was extremely lucky to spend some time in Asia so I have been inspired by using sake in a non-traditional way. The sweetness of the plum sake with the slight smokiness of the Johnnie Walker Black Label pair so well together. Combine all ingredients into a mixing glass and stir for 15 seconds. With this cocktail I wanted to create more of an aperitivo style cocktail. 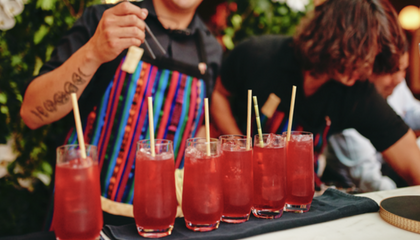 When I was in Madrid, it seemed that everyone enjoys a spritz or Americano cocktail. So with that in mind, I wanted to match some bitter flavours with the sweet richness of Zacapa 23 and lengthen it with bubbles (prosecco). This cocktail is great to offer your customers on a late afternoon before dinner. Combine all ingredients into a shaker tin (excluding the bubbles) and shake for 10 seconds. Fine strain into a Collins glass over fresh ice. Top with bubbles and garnish with a lemon twist. 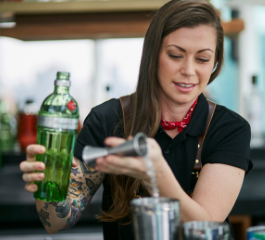 Throughout my time as World Class Bartender of the Year, I got to see first-hand just how much the gin and tonic craze has swept (most of) the world. So this cocktail is my take on just that. A gin and tonic fizz, extenuating the juniper, liquorice and fresh citrus botanicals of Tanqueray No. Ten. Combine all ingredients (excluding the tonic water) into a shaker tin. Dry shake or mix in a drink mixer. Fine strain into a Collins glass over 2 cubes of ice and top with tonic water. 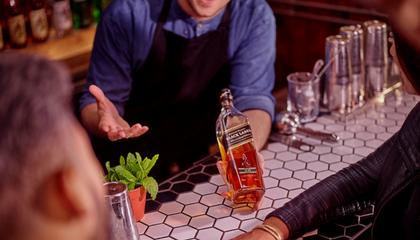 Gone are the days when whisky was strictly served neat or on the rocks. 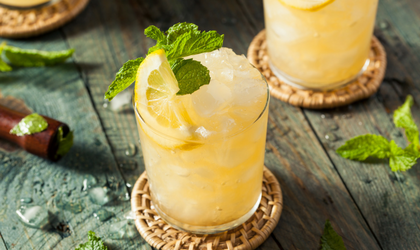 Whisky cocktails are making a comeback on menus across the world and it’s time to get involved.